Essential plot rundown: A hobbit goes there and back again with a band of dwarves and a wizard. 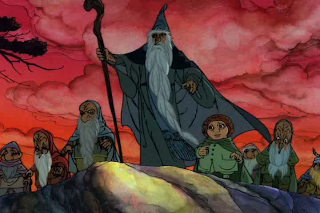 I grew up watching this animated version of The Hobbit. 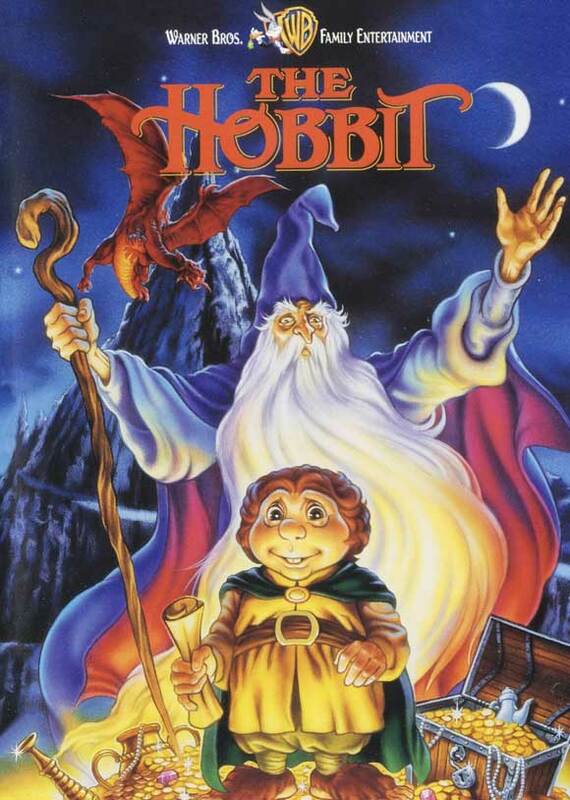 But, since I haven't seen it in a while, I thought I'd watch it in light of the new Peter Jackson movie. And needless to say, I really like this version. I actually prefer it over An Unexpected Journey. The film is just shy of an hour and a half, so it does movie pretty quickly; only briefly touching on important events. They are in Rivendale for about 3 minutes and with the forest elves for less than that. So, there's not a lot of development. But that's ok because this movie is a lot of fun. I love the animation style; it looks really cool. And I think Smaug looks awesome! I love the fur and catlike features. To me, this is how Smaug looks; so I'm a little worried as to what he looks like in the new trilogy. (But sadly, Smaug doesn't do much here. He's pretty badass when we first meet him but then his screen time ends rather quickly). And I think Gollum looks pretty sweet too. I just really like the look, the detail, of this movie. And the music is pretty cool. When, in An Unexpected Journey, the Orcs trap our heroes in the trees, I couldn't help but imagine this song while I watched it. I also liked the talent they got to do the voices. I actually prefer Brother Theodore's interpretation over that of Andy Serkis. Bilbo, Smaug, Gandalf, all great. So, overall this is a fun movie. While the short running time makes for a relatively weak story, the cool animation and songs make up for it.